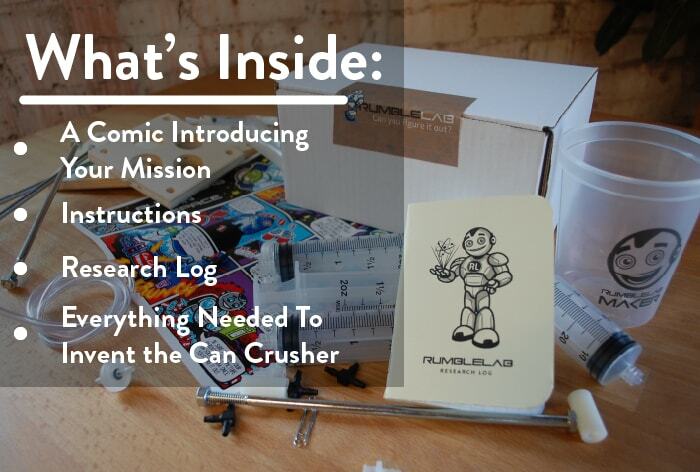 RumbleLab. 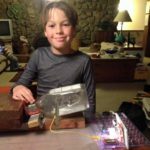 Helping your kid unleash their inner engineer. 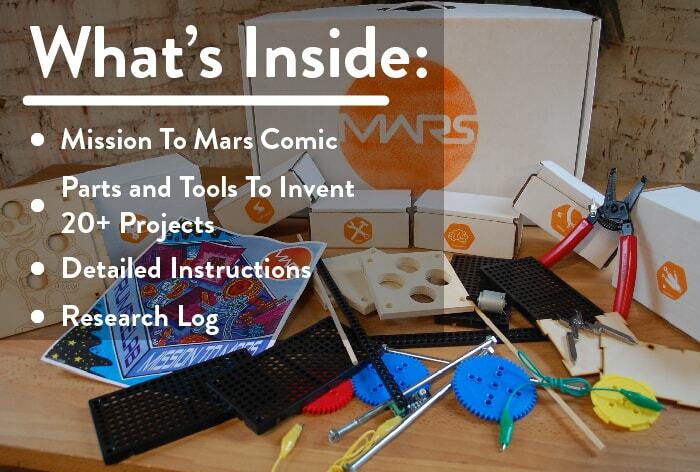 Hands-on projects & videos to help kids learn engineering skills on their level. 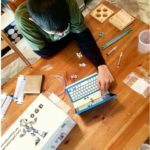 We make it as easy as possible to spend time with your kids and help them learn problem solving skills by making stuff. Pick up one of our Challenge Crates, or sign-up for the FREE DIY guides. Dive in with your kid and invent something cool to complete the challenge. After getting them started, take a back seat and watch where their creativity goes. Ugh, this is hard. I hate this box." Three minute pause. "Look how cool! This is the best box EVER!" "That second part was repeated for several hours. 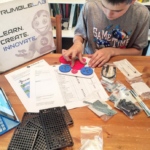 I’m absolutely in love with a kit that teaches my kiddos something so valuable, and then asks them to apply that knowledge and do something spectacular with it. Coming up with an innovation is hard work but I see more and more how valuable engaging in the process is for my kids. Each crate comes with specific parts and pieces that will help your child have fun through building. 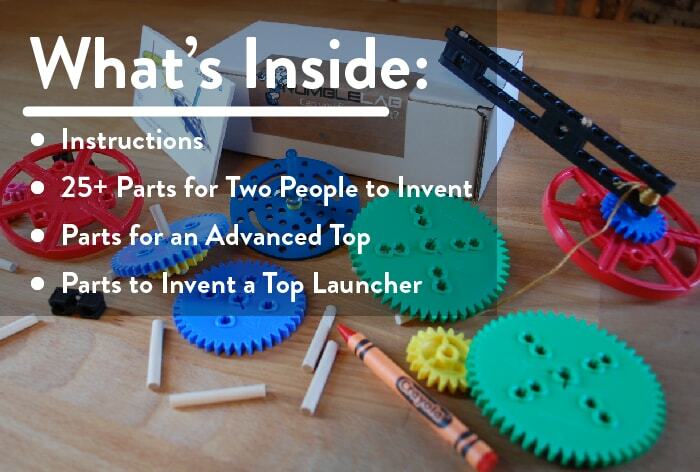 Use the parts in your crate to invent your own tops, then battle them with your friends. Come with us on a mission to Mars. Use your crate to figure out how to solve problems that come up along the journey! This crate comes with everything you need to invent an outer space hydraulic can crusher.